A black bear in captivity awaits handouts at the the Maine Wildlife Park in Gray, July 25, 2014. 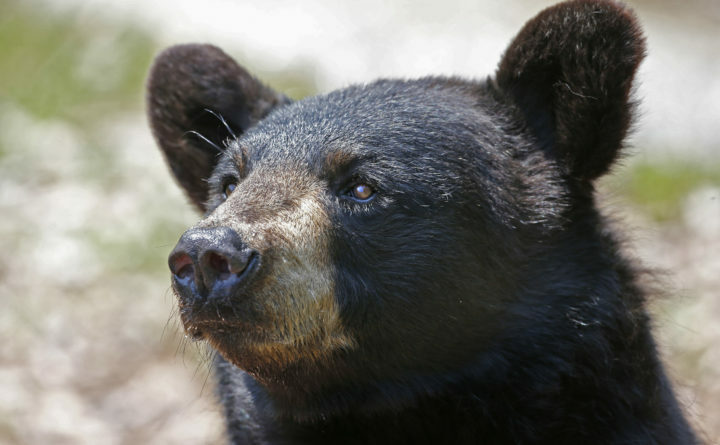 CONCORD, New Hampshire — New Hampshire saw a surge in conflicts between bears and humans this past year, as a shortage of food drove the animals to raid bird feeders and garbage dumps more frequently. The New Hampshire Fish and Game Department’s Bear Project Leader Andrew Timmins said Monday that there were around 800 reports of bear-human conflicts in 2018, compared with only 410 for 2017. There also was an increase in bear killings by the state and residents, both of which are legal. The Northeast is home to a growing numbers of black bears, with Maine’s population of nearly 35,000 among the largest in the country. Vermont and New Hampshire are also seeing their populations rise. The state killed eight nuisance bears compared to two in 2017 and residents killed 24, up from 14. While Timmins said that was a relative low number considering how many conflicts there were with humans, he acknowledged he would love to see no bear killings. Among the high-profile killings this year were two bear cubs shot dead near an apartment complex in Manchester. State officials said the bears were killed because they were about to run across a busy roadway and posed a threat to motorists. Some residents complained the shooting was too close to homes. Others were killed after they entered homes, a campground and after one killed a goat. On top of the conflicts, Timmins said they saw a record high number of abandoned bear cubs — 55 in 2018, compared with 14 in 2017. Many of those young bears were brought to the state’s only rehabilitation facility in Lyme between Sept. 26 and Dec. 8. Many were only 10 to 15 pounds, compared with 40 pounds in a year when there were plenty of acorns, beach nuts and other forest foods for the bears. Again, it relates to food. There was a boon in forest foods in 2017, which led to a baby boom in 2018 with litters of two or three bears. But with so many mouths to feed and little food, some mothers abandoned their cubs. Other female bears were killed by hunters or hit by cars as they went further afield in search of food, leaving the cubs on their own. Bear rehabilitation expert Ben Kilham said more could be done to help reduce the number of bear cubs without mothers, including the mandating of electric fences around chickens and livestock and other measures.